A collection of purse-sized, pigment-powered eye shadow palettes by Smashbox Cosmetics.Each Cover Shot palette has a curated mix of colors, formulas, and finishes so you can nail the latest trends and create your own looks. Ablaze (hot, desert-inspired shades): With shades in rich red clay and hot terra-cotta, this palette captures the warmth of the desert in a range of sun-drenched shades—these dimensional pigments are perfect for adding depth and contouring. Matte (high-coverage, velvety):It offers mattes that never fall flat, and it’s lush, soft, and velvety with ultra-high coverage—including matte eyeshadow shades in warm nudes, cool mauves, and a deep, dramatic black. Explore the entire range of Eye Palettes available on Nykaa. 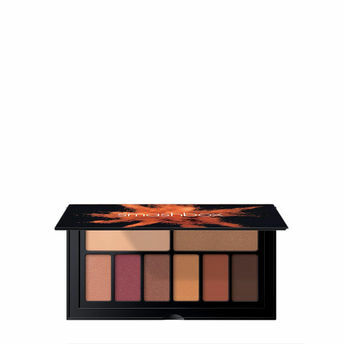 Shop more Smashbox products here.You can browse through the complete world of Smashbox Eye Palettes .Alternatively, you can also find many more products from the Smashbox Cover Shot Eye Palette range.